Darchei Noam’s Yavne Library provides a place of study and research for the community. 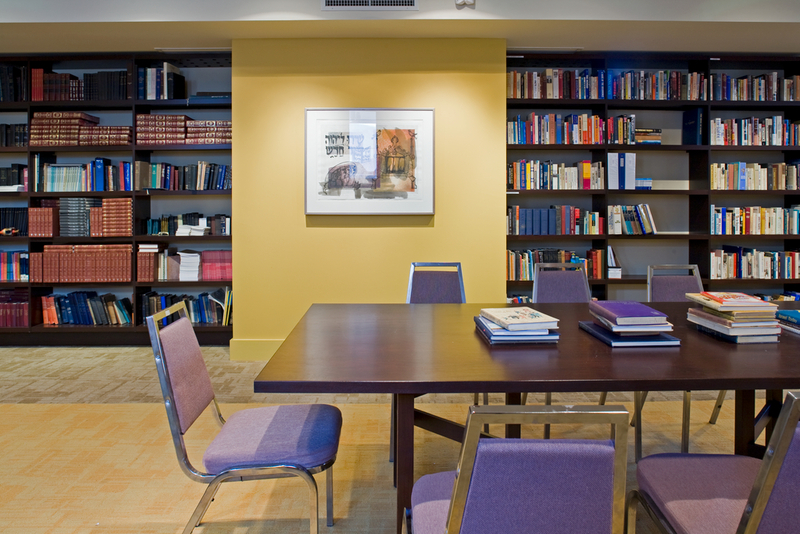 Its core collection features a range of Judaica materials, with an emphasis on liberal thought and a special collection of resources on Reconstructionist Judaism. It includes texts on Jewish civilization from biblical times to the present, primarily in English with some materials in Hebrew and Yiddish. An online catalogue of the Library’s holdings will be available to Darchei Noam members. If you are interested in making a donation of gently used Judaica books to the Library, please contact the Library Committee. Please consult our donations policy prior to contacting us.